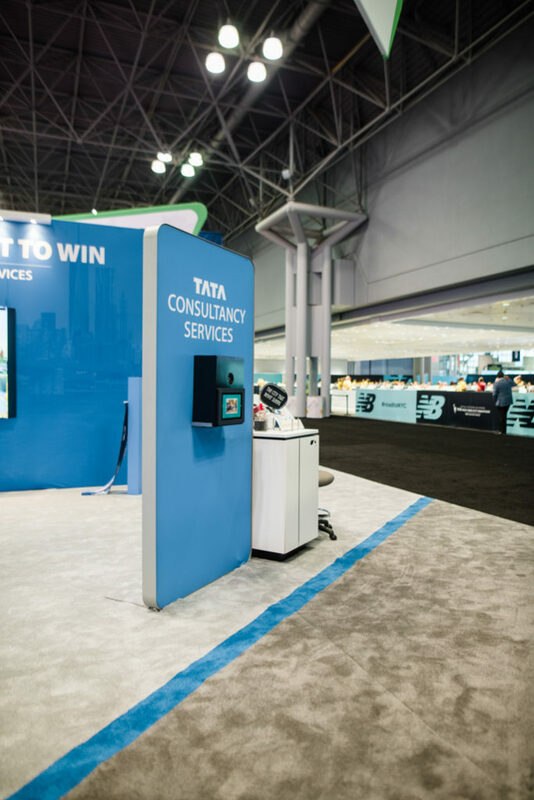 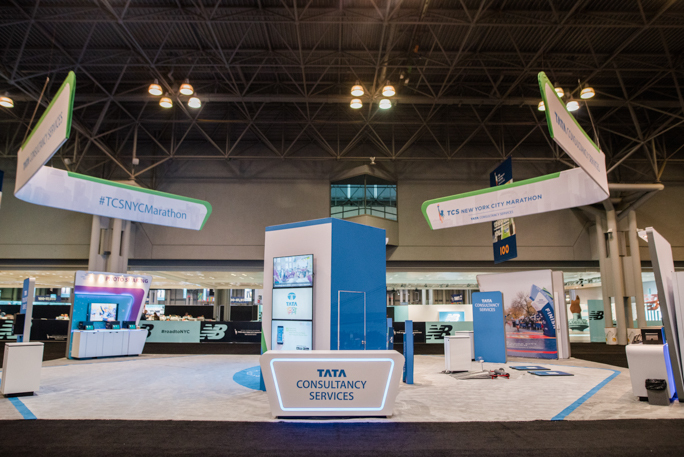 Early this November, we flew from Minneapolis to New York City to spend four days at the Javits Convention Center working for an expo before the NYC Marathon. 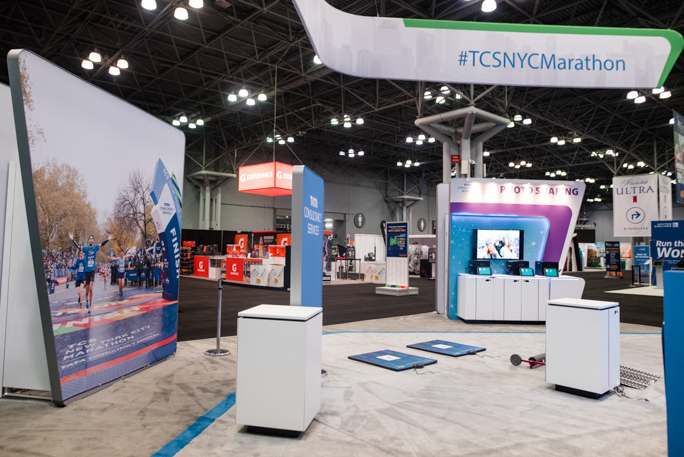 This is the largest running exhibition in the country and we were so excited to partner with the four-year sponsor of the marathon, TCS. 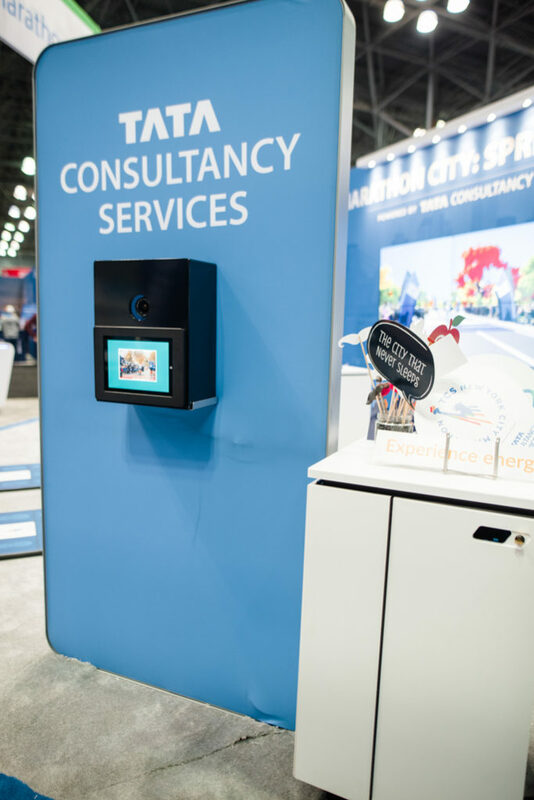 Our photo booths were built directly into their expo booth. 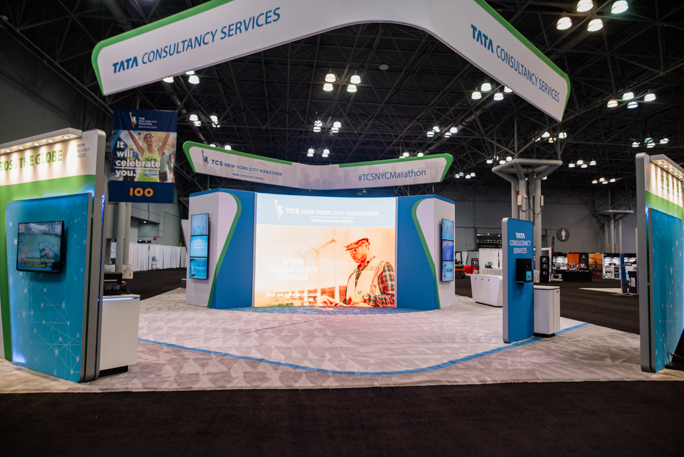 We brought two open style photo booths that were a part of the expo booth. 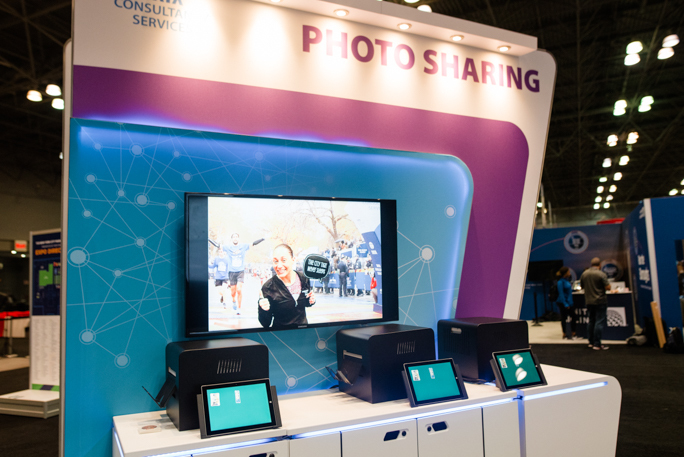 We also added six printers and six digital sharing stations for people to email pictures and GIFs to themselves. 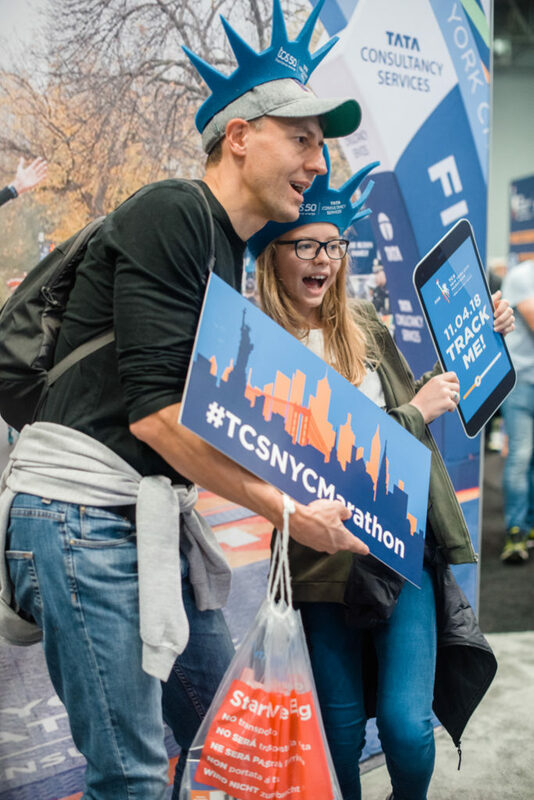 Attendees were coming to the expo to pick up their race number and explore different running gear, health products, and services before the race. 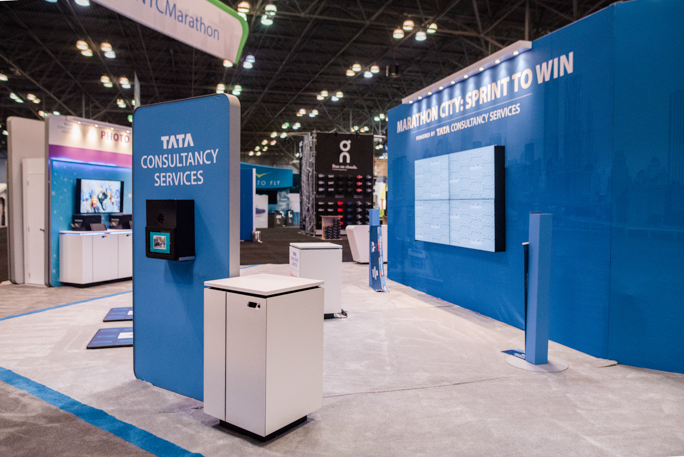 Since our booth was included in the marathon sponsor’s, it was the main photo booth of the expo. 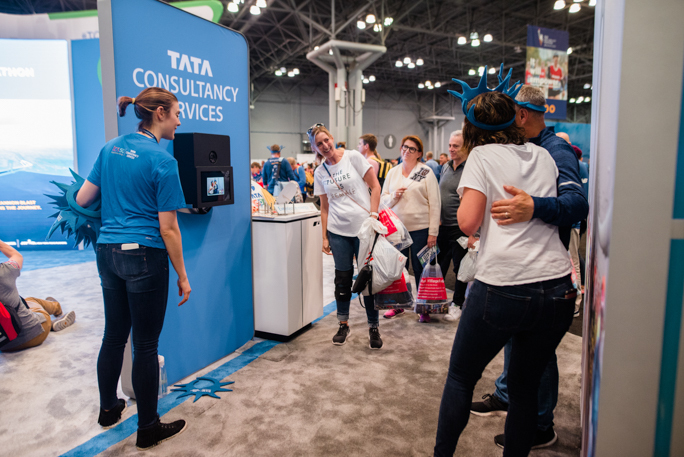 We had a busy few days – about 12,500 people attended the expo over the course of a few days! 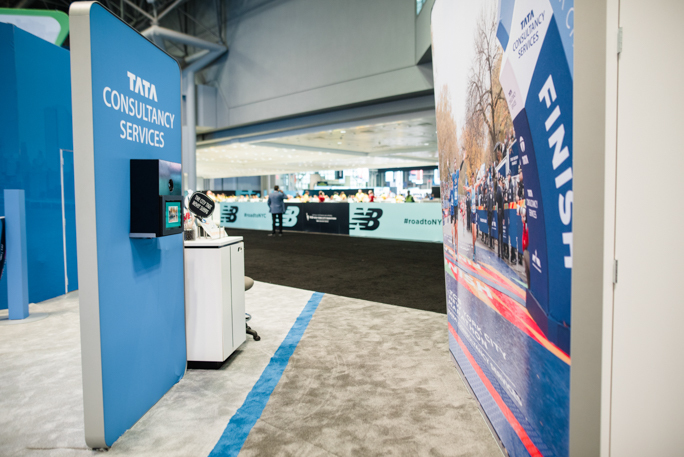 Once the runners picked up their race numbers, they walked into the expo space and the first thing they saw was our booth. 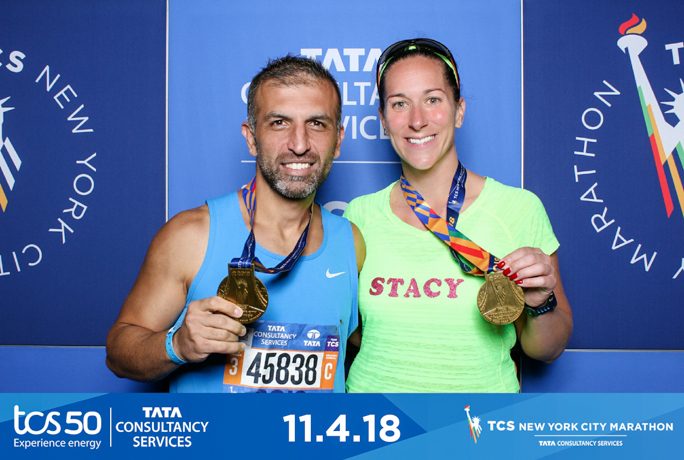 They were able to take photos next to the NYC background and take home photo strips as well as send a digital copy to their emails. 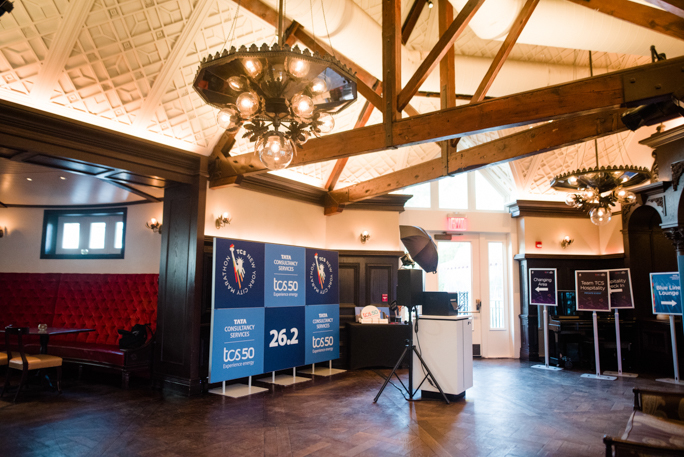 On the day of the race, we moved to Central Park in a VIP lounge for runners located in Tavern on the Green, an iconic national historic landmark. 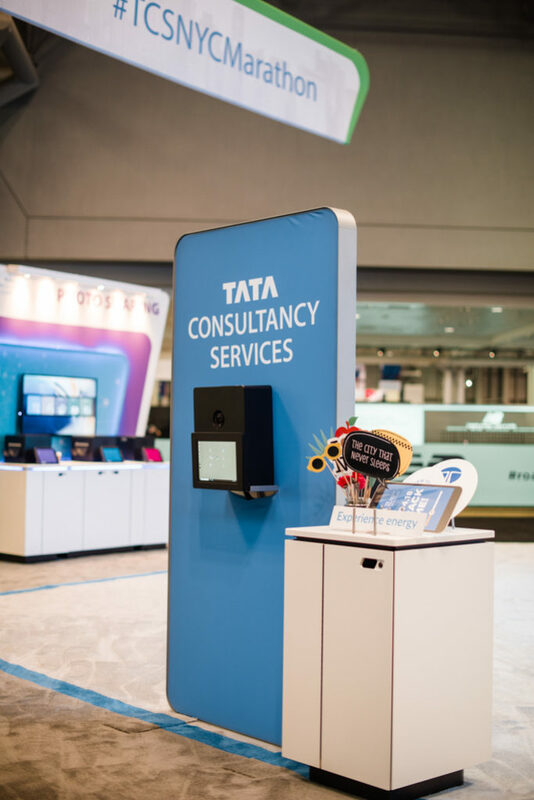 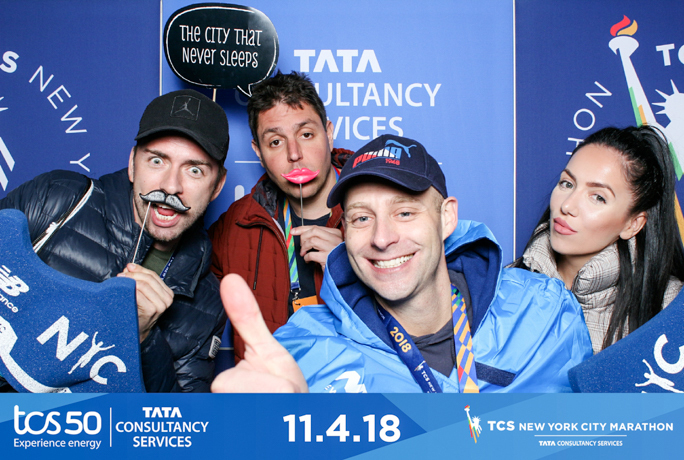 Our booth was right at the entrance so that runners who had a pass to the VIP area were able to take their photos next to a TCS branded backdrop. 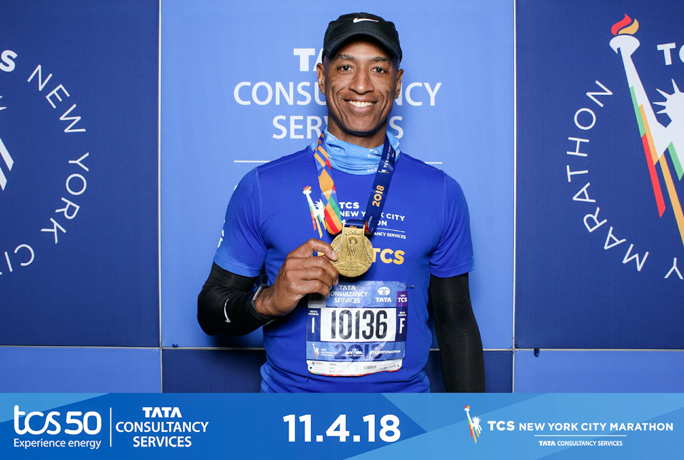 Runners with medals and props took photos and celebrate finishing the marathon. 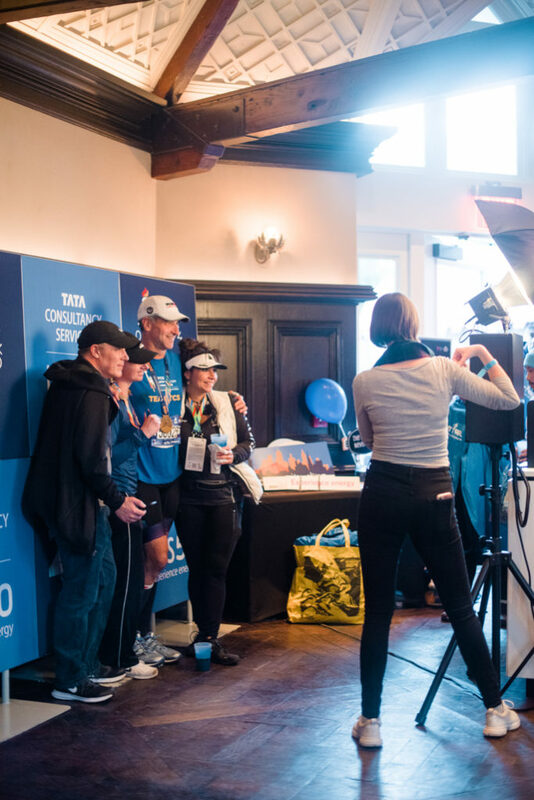 These types of custom photo ops allow for seamless branding in special events and parties. 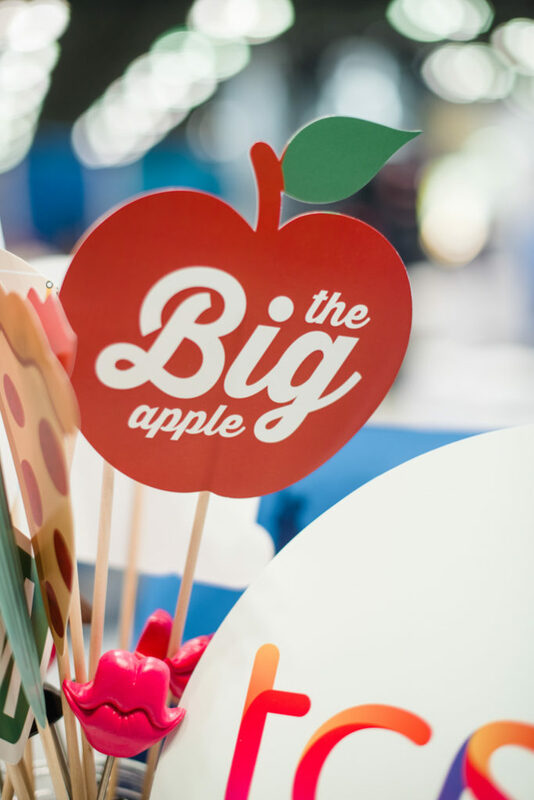 We love working with brands to make a positive impression and help people form memories and bring home beautiful and fun photos from their events.